Aspen, Colorado is a beautiful and charming location to visit for a romantic getaway or a family vacation. Skiers and snowboarders will flock to this area to try their luck at the slopes since the area offers them several ski and snowboard areas that are breathtakingly beautiful. Therefore, it will be easy to sell a Hyatt Grand Aspen timeshare since these skiers and snowboarders will want comfortable lodging after spending a day on the challenging slopes. The Hyatt Grand Aspen timeshare resales are located near the stunning Ajax Mountain. The lodging offers you luxury in a breathtaking setting. If you buy a Hyatt Grand Aspen timeshare, you will be able to experience this majestic setting in a comfortable lodging that offers you amenities such as fireplaces, kitchens, balconies, steam showers and spa tubs. In addition, you will be able to stay connected with high-speed Internet access. You can choose one, two or three bedroom lodging. Each accommodation will include a magnificent view of the mountain or of Aspen. The rooms are elegantly done in a mountain lodge décor of stone, marble and rustic wood. The rooms include queen or king size beds, flat screen televisions and beautiful stone tile baths. Included in most rooms are amenities such as coffee makers, hair dryers, toothpaste, mini refrigerators, alarm clocks, wine cooler and robes. You can feel pampered with a relaxing bath in a marble tub or spa. While staying in your Hyatt Grand Aspen fractional ownership, you can keep occupied with numerous activities. From shopping to relaxing, you are sure to find something to enjoy. The hotel offers you a fitness center and a pool to get plenty of exercise after a day visiting one of the museums. The Wheeler/Stallard House Museum is a three-story brick home that was built in 1888. It is a beautiful architecture structure that includes dormers, gables, and steeply pitched roofs. It is a landmark in Aspen that you will want to see. The museum displays exhibits that describe the history of Aspen’s mining culture. It takes you through the railroad, ranching and skiing industry. The Aspen Art Museum displays exhibits that highlight the works of contemporary artist who are nationally known. You will be able to attend art education programs and lectures, and a free wine and cheese reception is offered one day each month. With the Hyatt Grand Aspen timeshares for sale, you can visit these museums to experience the culture and history of Aspen. After a day of exploring, you can enjoy cuisine at one of the fabulous restaurants. At one restaurant, you can enjoy sampling some of the Italian specialties. You can visit a rustic tavern for a drink or go to a log cabin to eat a tender caribou loin. The cuisine will entice you to return to Aspen to try new food specialties, and with Hyatt Grand Aspen timeshare deals, you can have more money to spend on this superb cuisine. Other activities involve spending time outdoors in the cool mountain air. You can take a ride up the mountain on a gondola to view the awesome landscape or take a hike up the mountain if you enjoy climbing. It may be a tough climb, but the view will be worth it in the end. Once at the top, you can explore several paths and enjoy activities such as frisbee golf, shopping, eating and experiencing a bungee playground. You will be able to see spectacular views going up and down in the gondola. However, if you decide to hike, plan on taking your time to enjoy the scenery since it will take a couple of hours to complete the hike to the top. 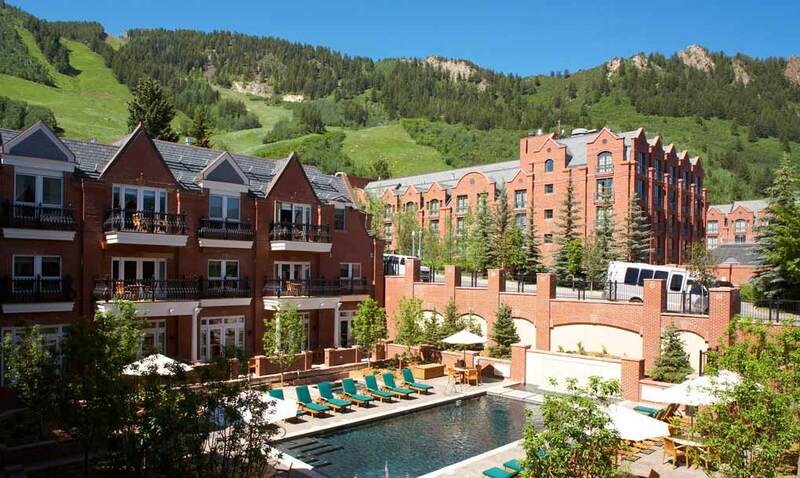 Hyatt Grand Aspen timeshares for sale are popular due to the combination of fun and luxury. The lodgings offer you a casual mountain atmosphere close to the exciting ski slopes. The lodging offers you a comfortable and secure place to reside when you visit this inspiring mountain area. To get the most from your timeshare, you will want to visit the area throughout the year. If you enjoy traveling to the mountains, you can stay in luxurious lodgings when you get Premier Timeshare Resale to assist you with a Hyatt Grand Aspen fractional ownership timeshare. This ownership allows you to visit whenever you have time at a lower cost.